On May 3, Silversea’s Silver Spirit left Fincantieri Shipyard in Palermo 49 feet longer, following the completion of a complex lengthening and refurbishment project. 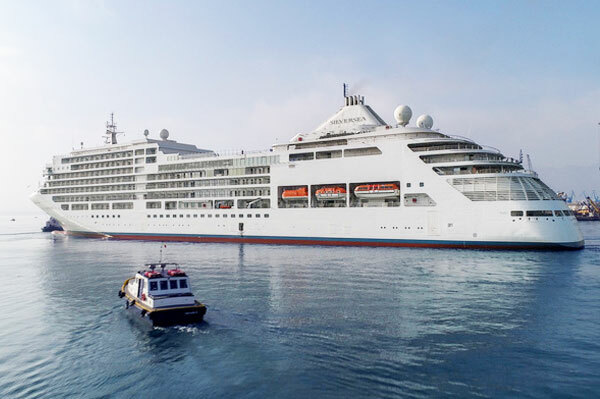 Having been cut in half, lengthened with the insertion of a pre-built section, and renovated extensively, Silver Spirit was greatly enhanced and has now embarked upon its inaugural voyage, which departed amid jubilation from Civitavecchia (Rome) on May 6. Silver Spirit’s 59-day dry dock period ran with precision and according to its schedule, with roughly 1,000 skilled workers committing approximately 450,000 hours to ensure the lengthening’s punctual completion. Among the other improvements: stylish décor enhancements to public areas and suites; the ship’s pool deck has been enlarged; a new eight-restaurant arrangement has increased dining options, with the introduction of Spaccanapoli, Silver Note, Atlantide and Indochine, as well as the renovation of La Terrazza; and a number of new amenities have upgraded the onboard offering, including the Arts Café, Tor’s Observation Library, the Zagara Spa, the Panorama Lounge, and the chic Dolce Vita lounge.